The process by which the Town of Chester was incorporated began in 1719 with a petition to the Royal Governor of the Massachusetts Bay Colony (which included the not yet independent New Hampshire) from 125 businessmen, or proprietors. The grant was issued in 1720, and the town was incorporated in 1722. Of the original 125 proprietors, only 13 actually settled in Chester. Future settlers were primarily Scot-Irish, and purchased, leased, or married into land from the original proprietors. The original grant for Chester stated 100 square miles, and if surveyed today it would reflect approximately one hundred and fifty eight (158) square miles of wooded land. Roads were barely cart paths, and travel from what is now Hooksett to Chester Center for a Town Meeting or to Church was a round trip that took all day or longer. It was no wonder that outlying areas created their own communities, their own parishes, and schoolhouses. Eventually these areas broke away and incorporated their own towns, now known as Candia, Raymond, Hooksett, Auburn, and Derryfield (now Manchester from Belmont Street to the Merrimack River, and up to the Mall of New Hampshire). Today, within Chester’s boundaries of about twenty seven (27) square miles, Chester Center, located at the intersection of NH Routes 102 and 121, is the geographic center of the community, and remains little changed from a hundred years ago, and is still the commercial and civic center of the community. Chester Center is a landmark, with National Historic Sites on three of the four corners. On the northwest corner is the Village Church (Chester Congregational Baptist Church). Constructed in 1773, it served as the site of the annual Town Meeting through 1836. On the northeast corner is the Village Cemetery, a wealth of history in itself, and includes all those veterans who served in the Revolutionary War. The southwest corner reveals Stevens Memorial Hall. 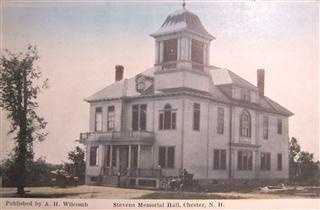 Constructed in 1909, Stevens Memorial Hall was dedicated in 1910 to George Washington Stevens, former resident of Chester, who bequeathed money to the Town to build a sorely needed Town Hall. It became the first Town Hall. in Chester, and was home to the local government offices for 91 years. It was the first building that the Town owned with an auditorium where the Annual Town Meeting could be held, and it was home to the Chester Public Library from 1930 until 1980. Today Stevens Memorial Hall is home to the Chester Historical Society, Chester Senior Citizens, and Chester Lions Club, as well as meeting place for numerous local organizations, and classes such as dance and aerobics. During the Post-Revolutionary Period (1780-1830), Chester was an important stop on the first stage route, which was established between Haverhill, Massachusetts and Concord, New Hampshire. In 1793, many of the larger homes along Haverhill Road and Chester Street served as inns and taverns for the travelers. In 1803, a company was formed to build the Chester Turnpike, a straight-line toll road, between Chester and Concord. This venture was not profitable and was abandoned with the development of the Merrimack River for waterpower and transportation, which left Chester as a small, rural community. During the Pre-Civil War Period (1830-1860), shoes were made in small shops in the community. Fine fabrics were imported but mostly all fabric for clothing and household use was manufactured in the home. With the introduction of more advanced mechanization, the shoe and fabric industries moved to large factories in the cities where waterpower, rail facilities and more labor were available and production could keep up with the demands of larger markets. 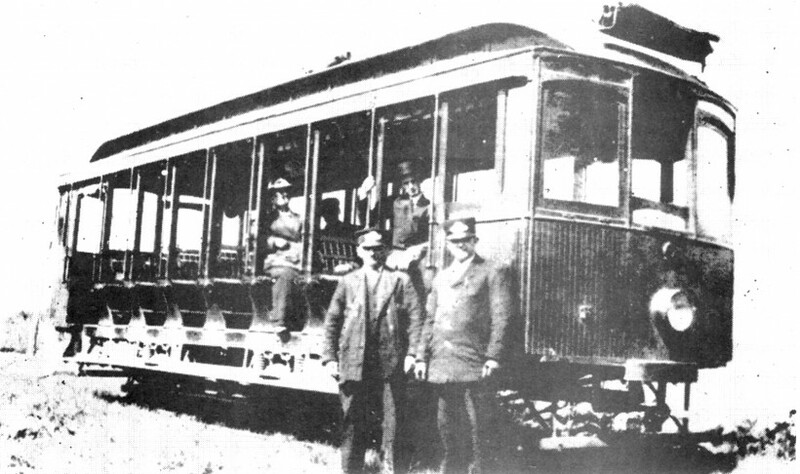 In the 1870’s, the Nashua to Rochester railroad was built to service these factories, but went through Hampstead and Sandown, again leaving Chester off the beaten path of commerce. Although Chester never became a manufacturing center, its residents have played a major role in politics and the arts in both New Hampshire and the nation. Chester has given the State of New Hampshire three governors, three senators, a chief justice of the State Supreme Court, a President of Dartmouth College, and numerous judges, lawyers, doctors, engineers, and financiers. It is also famous as the home of the Revolutionary period Dunlap Family of Cabinetmakers, and as the summer home of the sculptor Daniel Chester French, who created the statue of Abraham Lincoln for the Lincoln Memorial in Washington, DC. 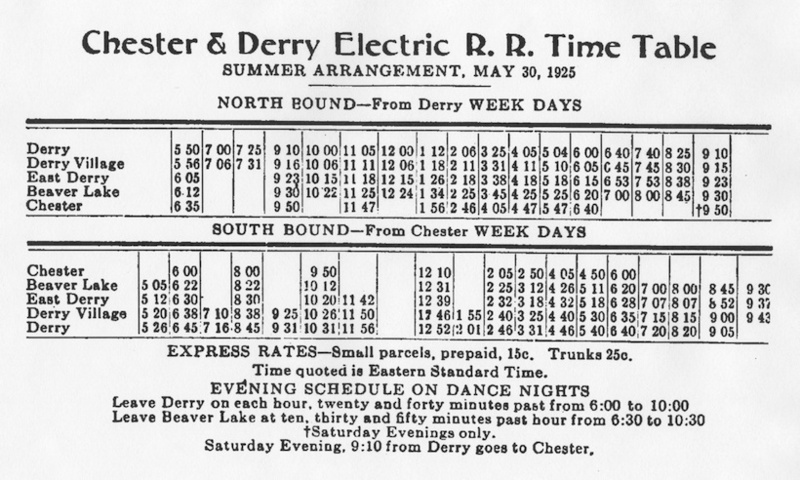 During the latter part of the Post-Civil War period (1860-1900), Chester became a popular summer resort. The estates of the wealthy, the inns and the summer boarding houses provided summer employment for many of the year-round residents. As the summer resort activities began a decline, which continued well into the 1900’s, the inns, taverns, and the smaller stores in the outlying areas could not afford to remain open and were gradually converted to private homes. 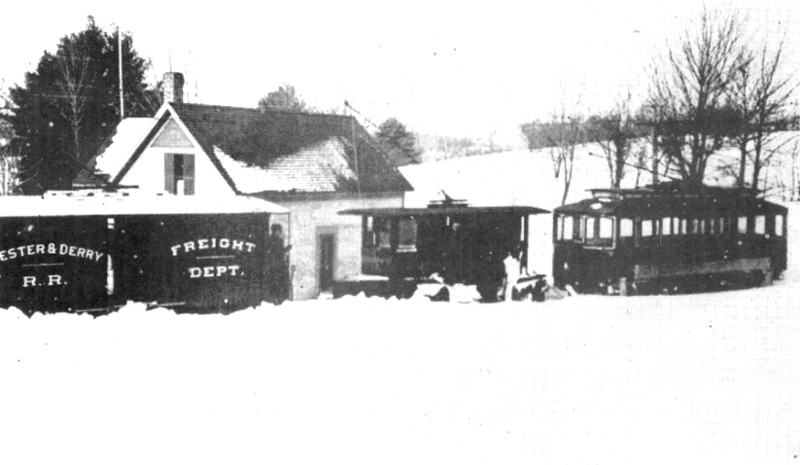 In 1877, the New Hampshire Legislature granted a charter to the Chester & Derry Telegraph Company. The telegraph line was operated successfully until 1884, when it was converted to a small private telephone company, The Chester Telephone Company, which survives today as Granite State Telephone. By the early 1950’s, Chester residents had become concerned about the future development of the town, and a Planning Board was appointed and the first zoning ordinance was passed in 1960. Between 1940 and 1980 as better automobiles and roads, such as Route I-93, made it easier to commute to the centers of industry in Massachusetts and New Hampshire, population growth was again evident. During this period 330 new homes were built, mainly along existing roads in the community, thus adding to the approximately 350 homes remaining from earlier periods of Chester’s history. The importance of transportation in this development is borne out by the almost complete lack of new building permits when the cost of commuting was at its highest due to the oil crisis of the 1970’s. The completion of Route I-93 in 1963 triggered an era of rapid growth in Southern New Hampshire. Initially, Chester was relatively unaffected, since there were easily developed areas in towns such as Derry, Hampstead and Raymond located nearer the main transportation routes of I-93, I-495, and NH-101. However, as the easily developed land in these towns was turned into house lots and homes, development in Chester increased. In the late 1990’s the number of home building permits jumped from 25 per year to 91 in 2000, causing an extremely rapid build up of population. However, after the easily developable land in Chester was developed, the number of home building permits dropped sharply to the previous level of about 25 or 30 per year. At the same time, the character of the homes still being built changed from the $150,000- $250,000 level to mainly $350,000 and up. The Town of Chester is continually working to maintain it.s rural character by encouraging the conservation of open space, either by working with landowners to create conservation easements on their property, or by encouraging developers to design a subdivision plan that will embrace the concepts of preserving open and natural space. To date, a number of properties, totaling hundreds of acres, have been placed under conservation easements with permission from their owners. The Town had property bequeathed; Spring Hill Farm, is maintained by a trust, and is one area that is not only of historic significance, but is also land that will be conserved for the future. The Town has also been proactive in its purchase of 105 acres of land now known as the Wason Pond Conservation and Recreation area, land that will be enjoyed by residents for many years to come. Today, Chester is still a small, semi-rural bedroom community with almost no manufacturing activity. The majority of its 4900 residents commute to jobs in other towns and cities in New Hampshire and Massachusetts.